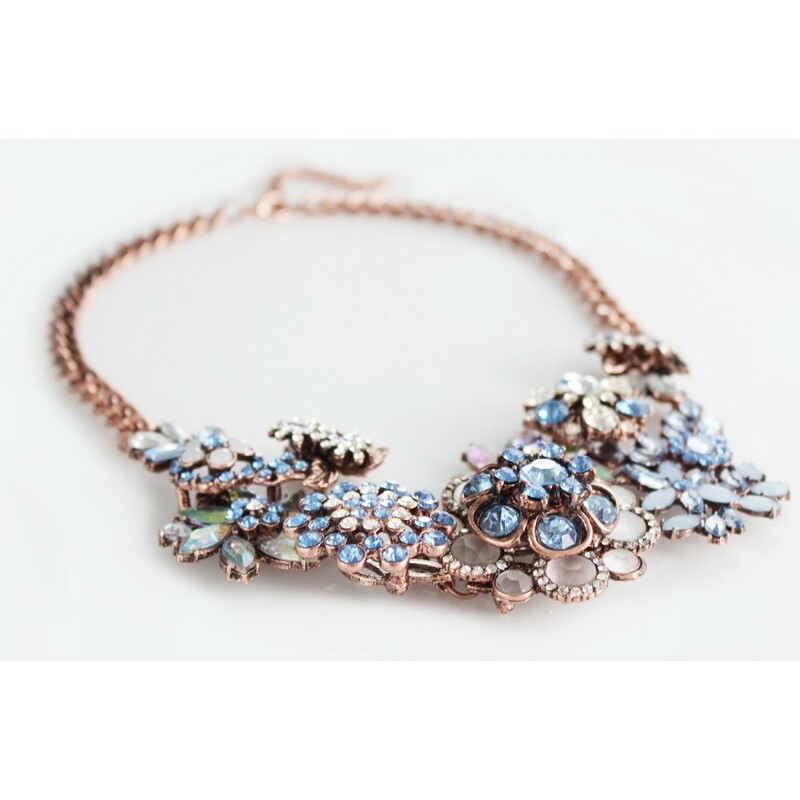 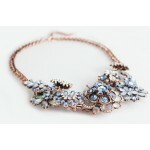 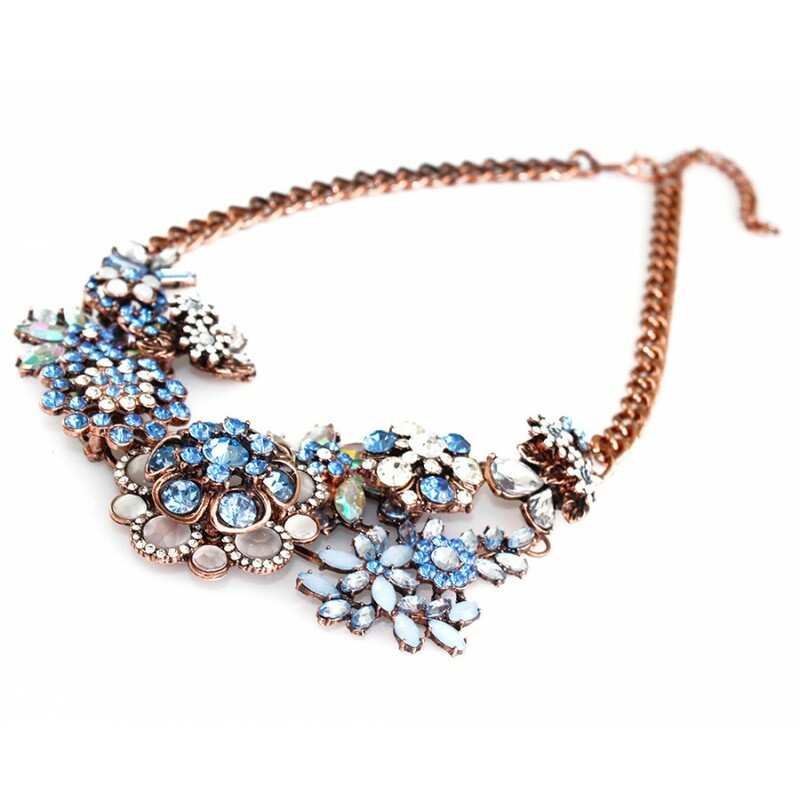 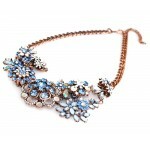 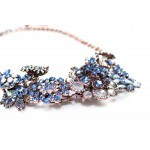 A gorgeous floral statement necklace featuring a unique combination of icy blue and clear crystals on an antique rose gold chain. 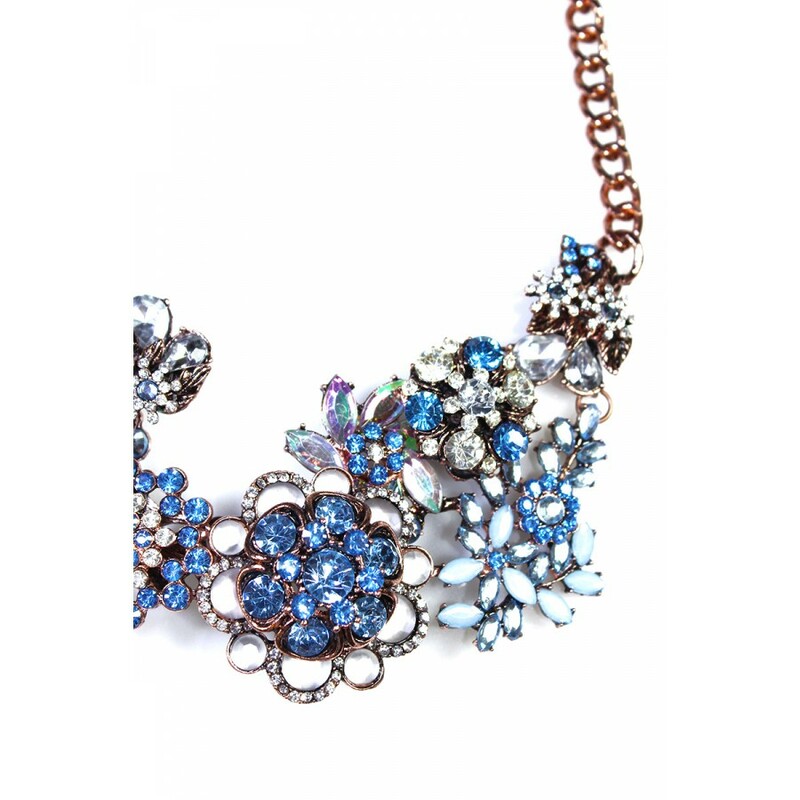 The pictures do not do this necklace justice ! 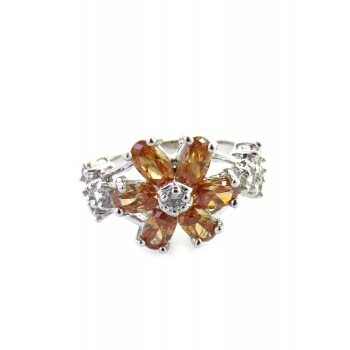 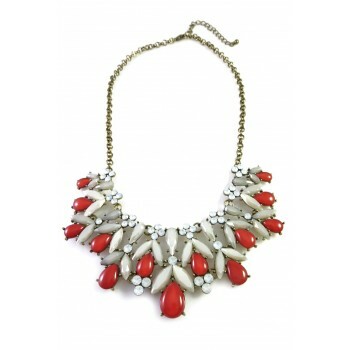 Pair with your favorite dress for night outs or those special occasions ! 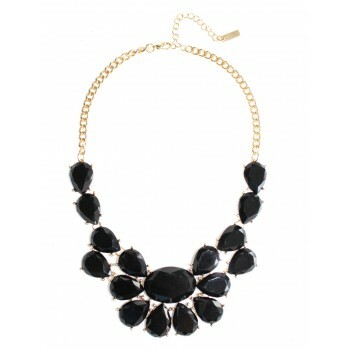 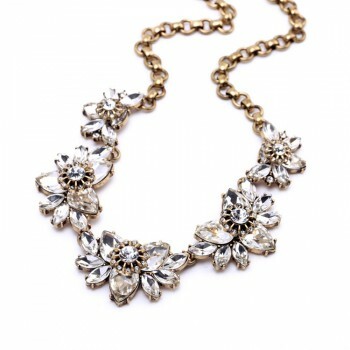 Elegant and versatile, this crystal statement necklace can be dressed up or down. 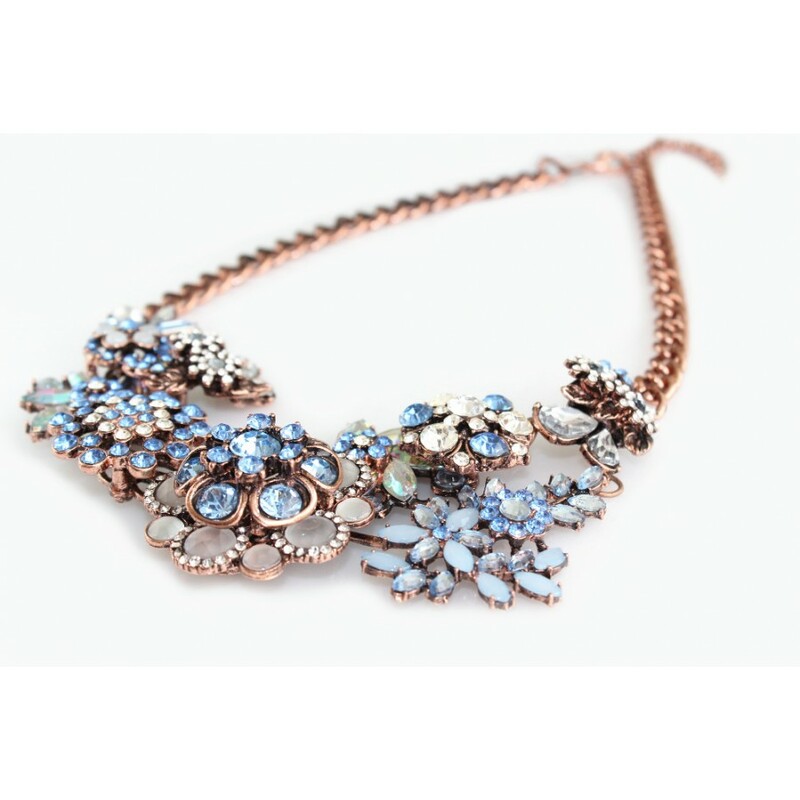 It features clear .. 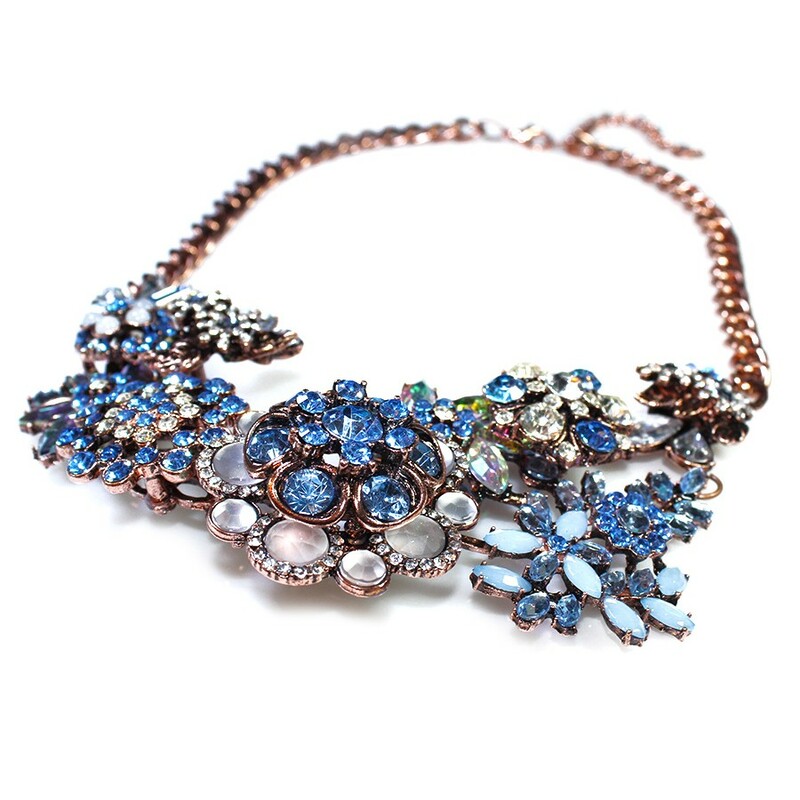 This delicate necklace features plentiful gemstones, exotic color and masterful design. 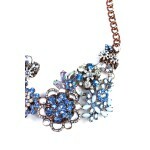 The gorgeous..
Glassy, petal- jewels float away from their oblong center toward a delicate gold chain. 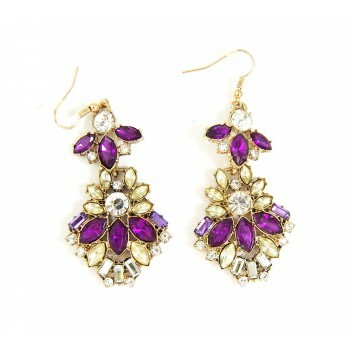 Item..
Go feminine and flirty with this striking set of earrings. They flaunt a beautiful floral motif, c..